Our latest superstore extending to over 25,000 square feet showcasing the latest trends in laid-back luxury living. A visit to our Newport store will have you overflowing with inspirational ideas for your home. Cool and quirky, our brand new Newport superstore is now open! 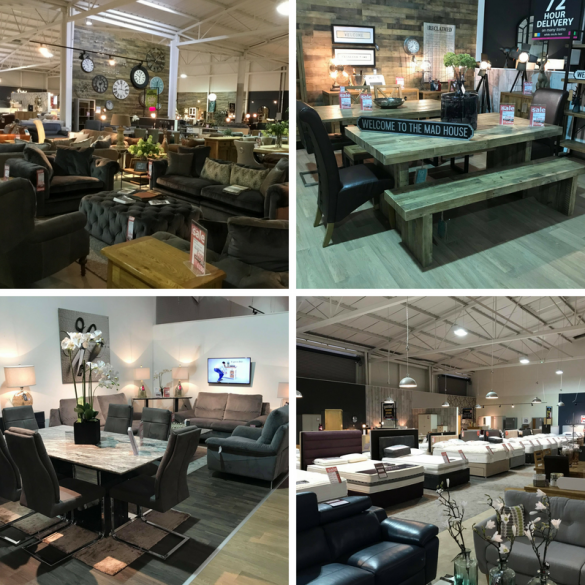 With all of our designer collections, fantastic deals and all departments, you really have to come and see it for yourself. So whether you’re simply looking for ideas or searching for that perfect piece, let us help you feel inspired and truly happy with your choice. From sofas and armchairs, to dining sets and beds, and plenty of accessories, you’ll be spoilt for choice. Each member of our team has a fountain of furniture knowledge, and we all have our own personal styles if you need some inspiration. We encourage you to relax, lay down on one of our beds or put your feet up on the sofas, make yourself at home. You can even have a cup of tea or coffee while you shop. So come on down and let us help you create your perfect home. Our Newport showroom is conveniently located just off the M4, only a 30 minute drive from Bristol. Our complimentary coffee bar provides you with a place to sit back and relax in-between browsing our huge range of stylish products. Our latest superstore extending to over 25,000 square feet, showcasing the latest trends in laid-back luxury living. A visit to our Newport store will have you overflowing with inspirational ideas for your home.